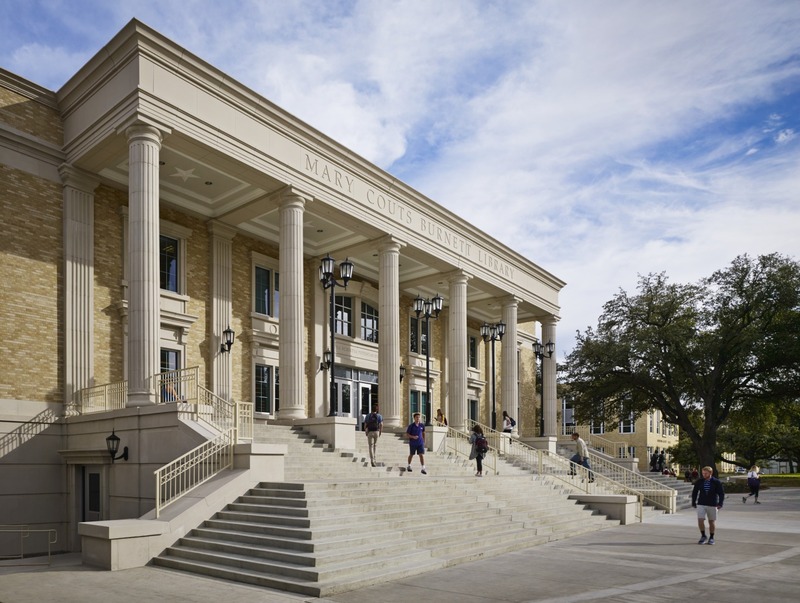 The Mary Couts Burnett Library, one of the first structures built at Texas Christian University (TCU), has grown significantly since opening its doors in 1924, doubling and redoubling in size over the years. 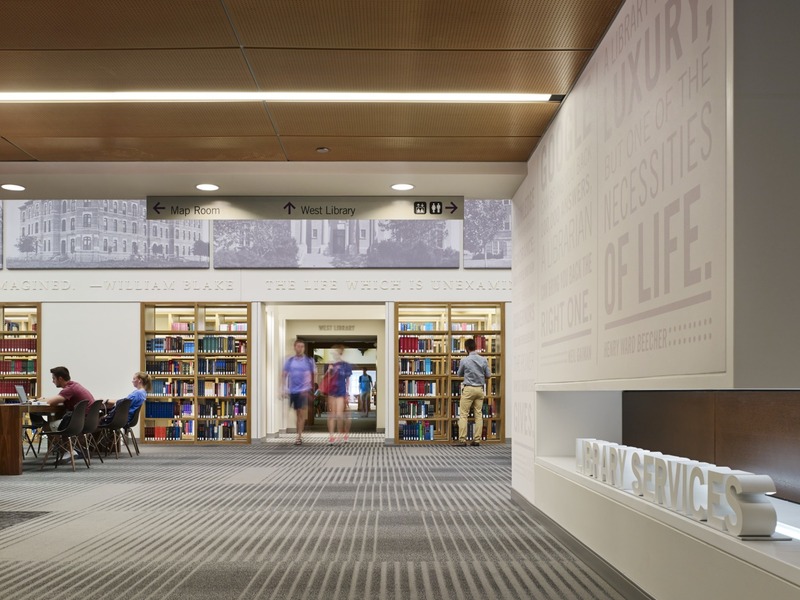 Most recently, the library underwent another transformation — an addition and renovation aimed at providing more study space, expanding collection space, and evolving the library into an information hub for the digital age. 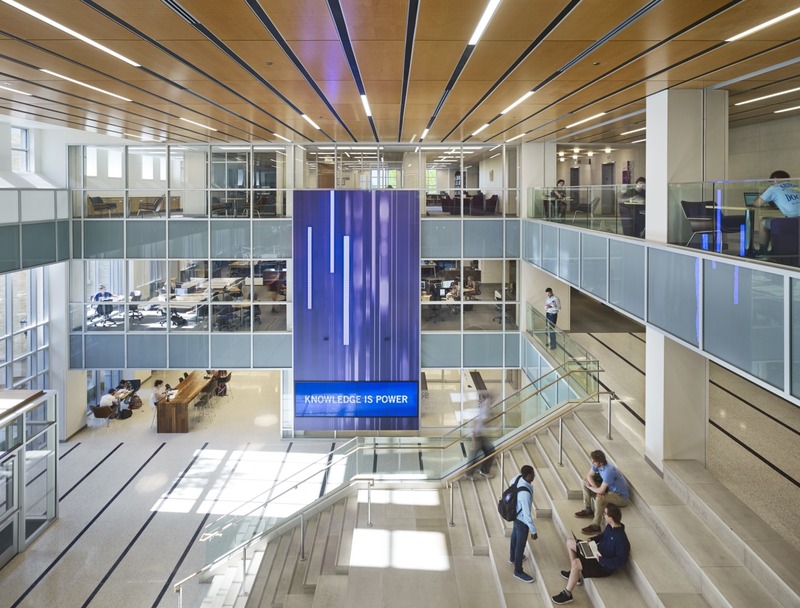 As the centerpiece of TCU’s Intellectual Commons — an academic precinct dedicated to cross-disciplinary innovation and exploration — and connected to Rees-Jones Hall, the library makes a bold statement about the parallels between knowledge, learning and innovation. 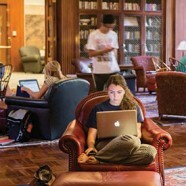 Whereas it used to be common to find students sitting on the floor huddled over their laptops, the expanded facility introduces more than 1,700 new seats. 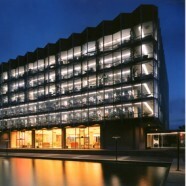 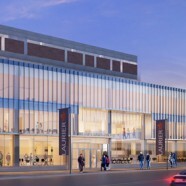 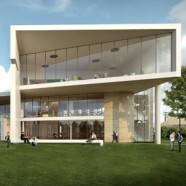 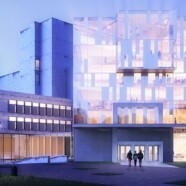 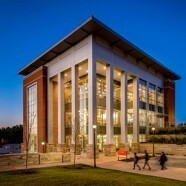 The library also makes technology as readily available as books with 30% more USB ports, 20% more power receptacles, a gigabyte lab for jumbo-file multimedia editing, a fabrication lab with 3-D printers, a theater screening room for video homework, and a digital sandbox for testing software and gadgetry. 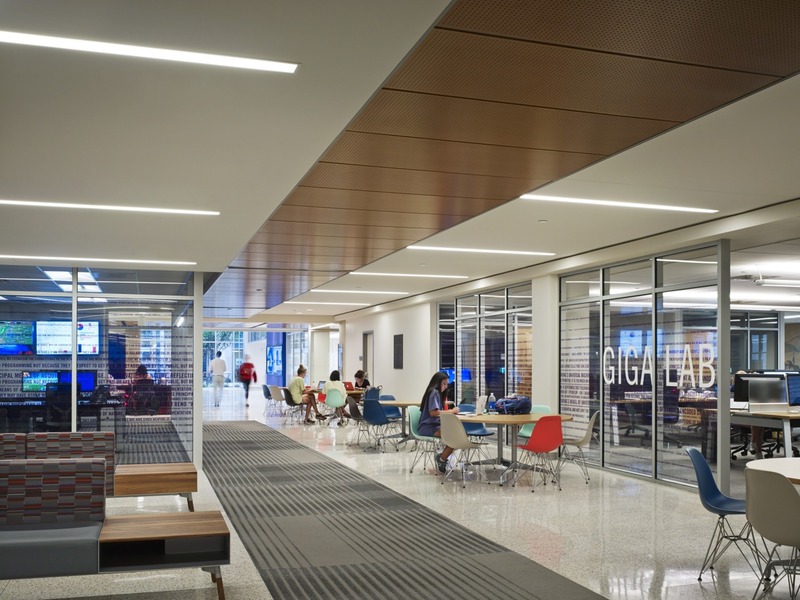 A cafe, multi-story lobby with tiered seating, outdoor patio, and multiple group study rooms challenge the notion that a library should be a quiet space. 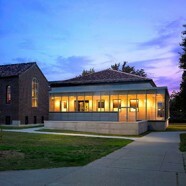 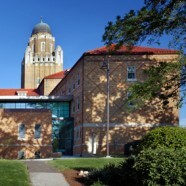 As part of the project, a historic two-story reading room was restored to its original glory, an existing 1980s wing was reskinned to match the new addition, and a new main entrance was created to pay tribute to the original library structure. 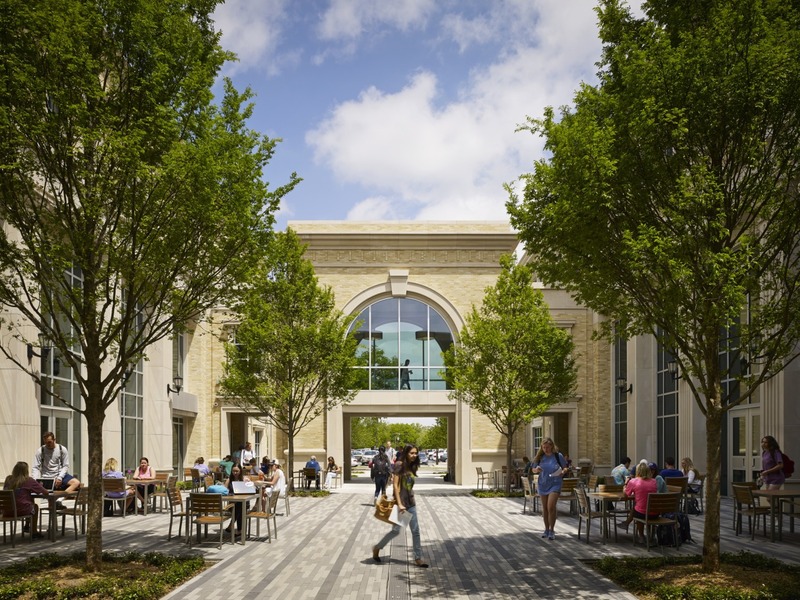 The addition/renovation of Mary Couts Burnett Library is one of more than 30 projects CannonDesign and Hahnfeld Hoffer & Stanford has designed for TCU with the goal of revolutionizing the learning experience. 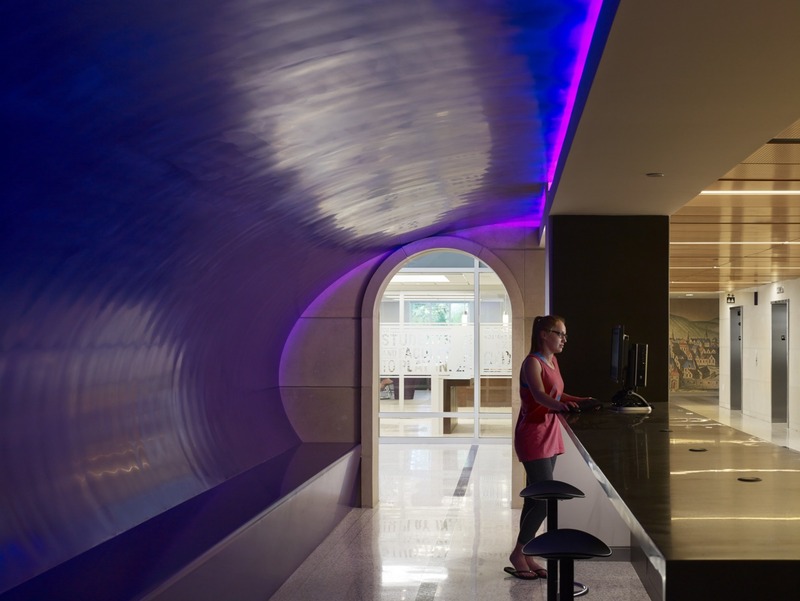 CannonDesign has provided most of the architectural vision for our renewed TCU campus – and the results have been spectacular. 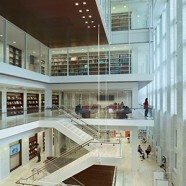 The expansion adds 1,700 seats to the library, 30% more USB ports, and 20% more power receptacles for portable electronics.